Blaine Street Bridge at Second Avenue. Footbridges--Pennsylvania--Pittsburgh--Maintenance and repair. ; Pedestrians--Pennsylvania--Pittsburgh. ; Factories--Pennsylvania--Pittsburgh. ; Railroad tracks--Pennsylvania--Pittsburgh. 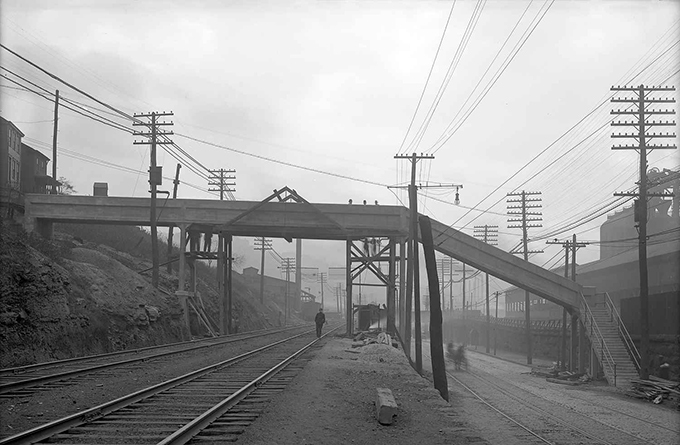 ; Blaine Street Bridge (Pittsburgh, Pa.). ; Hazelwood (Pittsburgh, Pa.).